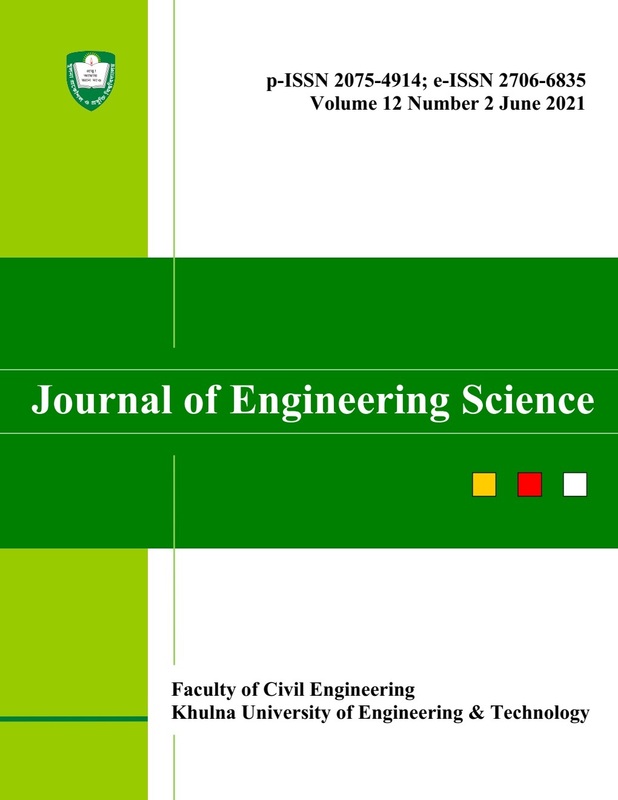 The Journal of Engineering Science (JES) is published twice in a year (June and December) under the auspices of Faculty of Civil Engineering, Khulna University of Engineering & Technology, Khulna-9203, Bangladesh. The Journal publishes original research papers and short communications in the fields of all Engineering, all Sciences and Social Science and Review Articles after being property reviewed by the experts in the respective fields. However, all contributions submitted will be referred. The Editorial Board is responsible for the final acceptance of any paper and the Board’s decision is final in case of any controversy.